By Tony Sewell, Senior Manager, Product Management, DataPath, Inc. The last 10 to 15 years has seen significant advancements in satellite networking waveforms and technologies, driving tension and divergence between the leading frequency division multiple access (FDMA) and time division multiple access (TDMA) technologies. Certainly, both TDMA and FDMA, which encompasses single and multiple channel per carrier waveforms (SCPC and MCPC), have strengths and weaknesses that depend on the particular network topology being implemented; however, it’s not the objective of this article to debate these well-known characteristics. There has been significant pressure for government and defense networks to move towards IP-based TDMA systems to deliver greater deployment flexibility, capacity sharing, and, hopefully, operational expenditure savings. 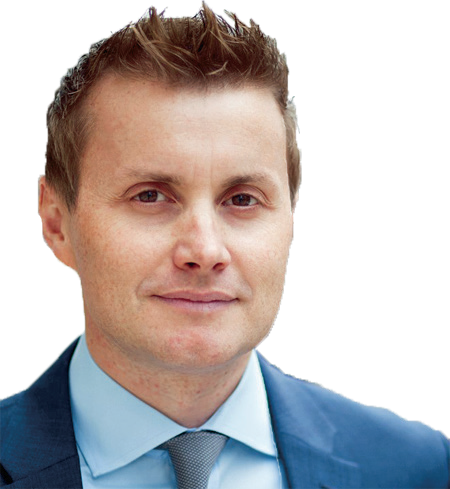 However, there recently have been ground-breaking developments in FDMA technologies that are unlocking significant capital and operational expenditure savings opportunities, while also delivering greater network planning flexibility and adaptability. 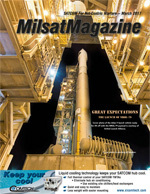 The purpose of this article is to examine the application of such technologies to government C4ISR (Command, Control, Communications, Computers, Intelligence, Surveillance and Reconnaissance) missions. These technologies offer great promise to networks that are reliant on very high data rate exchange, advanced spectral efficiency and provide affordable and highly flexible alternatives to capital-intensive TDMA networks for more modest sized networks. With their respective experience in deployed satellite communications terminals and networks, and advanced waveform and modem development, DataPath and Datum Systems have collaborated to deliver such powerful new network solutions to military users. Presented are two examples to demonstrate the flexibility and potential of these technologies. Commanders on the modern battlefield are challenged by ever increasing data rate requirements, as well as nodes with vastly different information requirements and RF characteristics. Joint operations are the norm, and particularly for expeditionary and special operations forces, a single network will see data exchange between maritime, air and land-based nodes. Figure 1 provides an example of such a network. In this case, a DataPath DKET3400 terminal (4.0 meter deployable Earth station) is providing a hub capability, supporting a point-to-multipoint network for numerous land-based terminals (DataPath CCT200 2.0 meter transportable terminals and MT90 0.90 meter man-pack terminals), and a UAV. 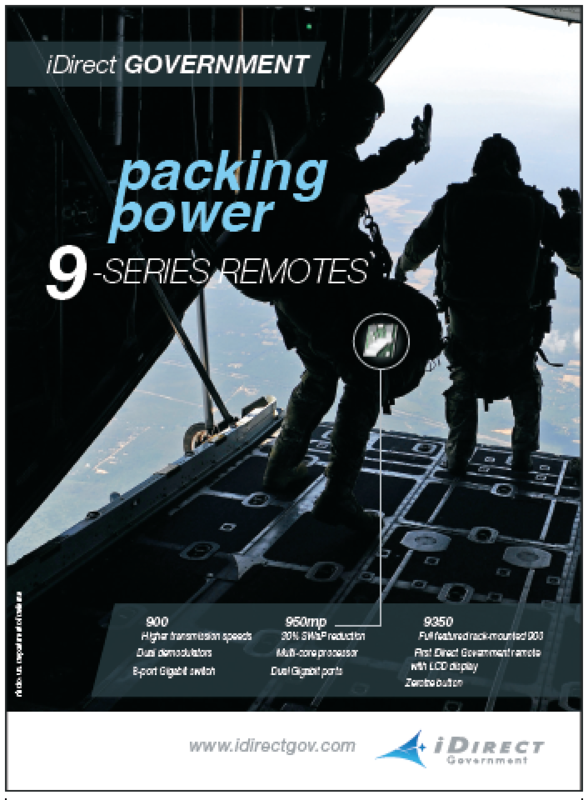 Deployed with DataPath’s Advanced Tactical Modem (powered by Datum Systems), the field commander can leverage a number of cutting edge capabilities in a unified network. This is an example of a hybrid network deploying a TDM (Time Division Multiplexed) DVB-S2X outbound and land-based SCPC return channels. The use of a TDM carrier from the hub provides the ability to transmit much higher data rates to remote nodes (up to 350 Mpbs) as well as leverage advanced adaptive coding and modulation schemes, all the while realizing statistical bandwidth savings by using a single DVB-S2X outbound carrier instead of individual SCPC transmit links to remote sites, as well as rack space savings and SWaP (Size Weight and Power) savings. The modulator deployed in the hub terminal requires only 1 RU of rack space (primary and redundant), as compared with a traditional SCPC point- to-point rack configuration that requires as much as 10 RU for this network example to provide primary and redundant links. Another unique feature of this technology is the ability to insert the waveform most appropriate to the specific mission profile. 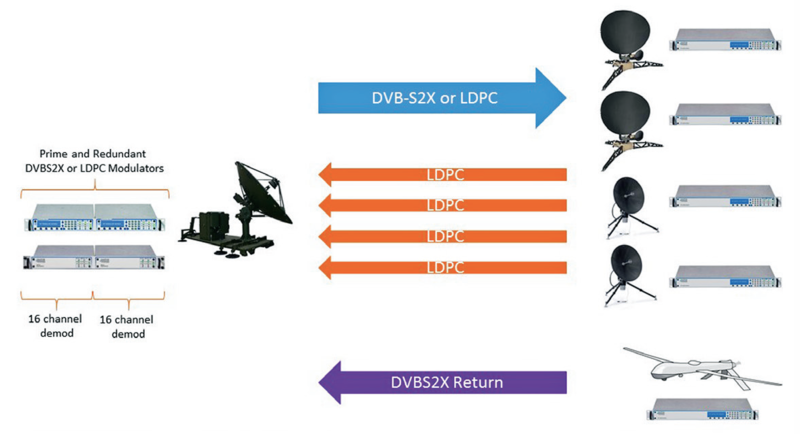 In this example, an unmanned vehicle employs a DVB-S2X return channel to transmit very high data rates generally not available in remote terminals, whether FDMA or TDMA. As a software defined modem platform, DataPath and Datum are developing a TropoSat feature, allowing the integrated terminal to be deployed in troposcatter mode to support very high data rate terrestrial networks. This feature will be enabled in the DataPath modem, allowing the commander flexibility in the field to choose the desired mode of operation. Throughput maximization and bandwidth efficiency is realized through the employment of some key technologies within this network. The introduction of the DVB-S2X waveform represents a huge step change advancement over the legacy DVB-S2 technology widely in use, providing a much larger range of flexible and efficient MODCOD (modulation and coding rates) options. The modems at the remote sites leverage the unique Datum-powered FlexLDPC waveform, delivering the industry’s most spectrally efficient LDPC channels with granular code rate and block size selections to provide a new level of fine-tuning to optimize throughput and minimize latency. Additionally, the modems employ SharpCarrier, a state-of-the-art Low Excess Bandwidth (Alpha) Filtering technology, which allows network managers to significantly reduce the guard bands associated with channel spacing. Legacy SCPC waveforms require channels to be spaced (on average) at about 1.35 times the symbol rate. SharpCarrier allows carriers to be spaced as low as 1.05 times the symbol rate, providing an immediate spectral efficiency increase of 28.5 percent and bandwidth savings of 22 percent. This translates into potentially significant OPEX savings on commercial bandwidth leases. For network planners, implementing efficient bandwidth plans is only part of the challenge. Satellite links with high latency also provide challenges to IP traffic flows. DataPath’s modems implement modular network interface options to match the requirement for different network interface protocols, software defined IP acceleration and compression, and advanced QoS for effective traffic management. When implementing an Advanced IP Interface module, remote terminals can support IP throughput of up to 150,000 packets per second. Additionally, IP interface modules can support the low latency demands of 3G, 4G and LTE networks, gaining greater recognition in government networks. SCPC networks have traditionally been extremely resource intensive at hub sites, requiring at least 1RU per point-to-point connection. Not only is this important in the physical capacity sizing of the hub site, but it’s also potentially prohibitively expensive, with advanced SCPC modems often running into the many tens of thousands of dollars. Figure 1 illustrates the power of DataPath’s solution, capable of demodulating 16 channels per 1/2 RU. So in this example, with 2RU of space in the DKET3400, a network of up to 32 individual remote sites can be supported. This is a huge economical advantage. When combining the capital savings in terms of physical modems and rack space required to terminate a network, with the spectral efficiency offered through protocols like FlexLDPC and SharpCarrier, the combined OPEX and CAPEX savings are significant. For planners deploying smaller networks where a costly field deployable TDMA system may have previously been considered, DataPath’s solution provides a compelling alternative. 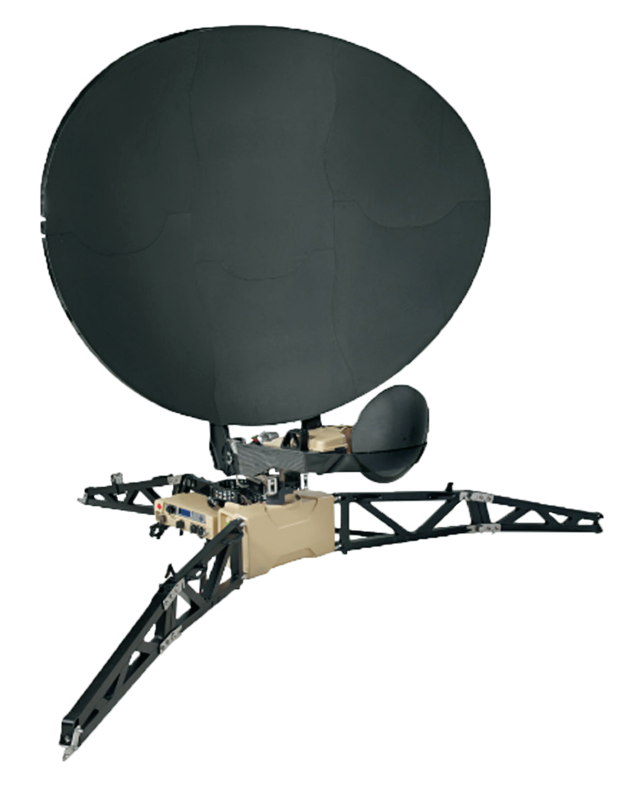 As TDMA networking has become more popular in the tactical arena for many reasons, including bandwidth efficiency for large networks, improved network management, and the ability to push remote terminals closer to the front lines of deployed operations, the capability to mesh tactical SATCOM networks has diminished. For the traditional Hub-Spoke TDMA network, mesh is a difficult technical implementation that has been discontinued by many modem manufacturers. That leaves SCPC as the only alternative, though it has been seen as inefficient in terms of the number of modems required to support it, as well as bandwidth requirements. Figure 2, however, illustrates how DataPath’s high-density demodulation hardware makes the opportunity to implement mesh in the tactical arena an attractive and economical option again. There are many reasons to mesh. Many applications implemented in the modern area of operations don’t perform well with the latency associated with more than one satellite hop. Figure 3. Illustration of MaxView Enterprise monitor and control software scalability across network levels. 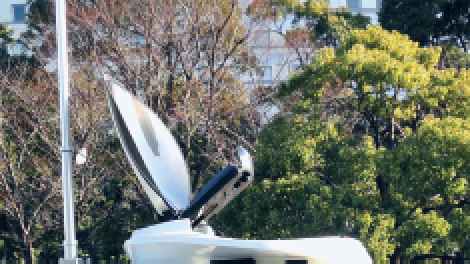 A number of global militaries, such as the US and Australia, still rely on mesh connectivity between larger nodes to optimize applications such as voice, video, battlefield command systems, and other such applications. While Figure 2 illustrates a mesh network between four terminals, the DataPath modem supports up to 16 individual mesh channels within a single rack unit of space, providing spectrally efficient, high data rate mesh links between nodes. For network planners, this provides yet another option for deployment flexibility, depending on the mission profile for intra-theater communication. 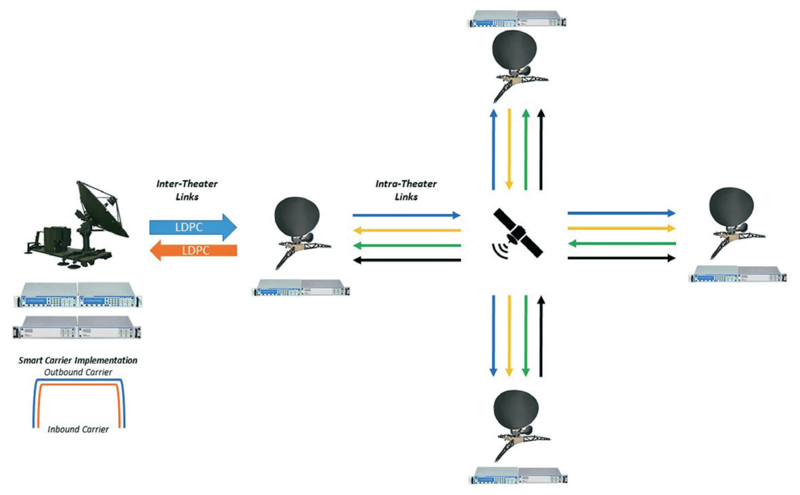 Figure 2 also illustrates a unique technology called SmartCarrier for the inter-theater link. SmartCarrier is Datum-powered carrier cancellation technology to allow two carriers between nodes to occupy the same bandwidth, assuming both sites can view the combined downlink. What is unique is that the ‘cancellation’ is conducted in the base band, instead of requiring the IF signal to be sampled and digitized, eliminating considerable modem hardware and cost. With the feature built into the modems, network planners can implement bandwidth savings throughout the network. Integrating hardware and management tools is the final crucial step in deploying the DataPath solution. From a hardware perspective, the modem technology is highly modular, built on a series of flexible printed card assemblies for waveforms and data interface protocols. The modems are also software definable, adding an additional level of flexibility and scalability. This modularity provides the ability for network technicians to easily alter network configurations or maintain equipment more economically than is usually seen in modem technologies. The modem modularity, as well as the very low SWaP (Size Weight and Power) footprint, enables flexible integration into portable and mobile terminal platforms, to perform efficiently in the harshest of environments. The modem technology is also able to support operation in static and mobility platforms, supporting direct spread spectrum capabilities on LDPC and DVB-S2X waveforms, for more advanced applications. Finally, these advanced modem, baseband and terminal systems are all characterized by a range of sophisticated management tools. 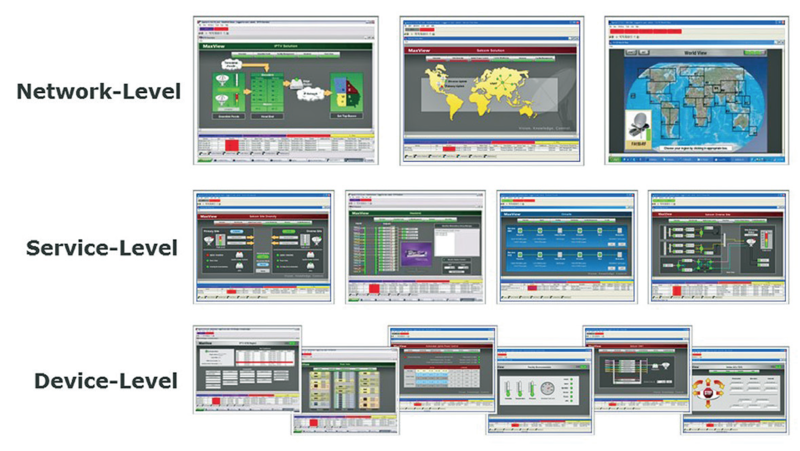 In order to make the management, monitoring and control of the network components more intuitive and efficient, DataPath integrates its powerful MaxView® Enterprise™ software providing a highly scalable and customizable capability to remotely manage the entire network. Figure 3, displayed in the next column, provides an overview of the scalability of MaxView, integrating and providing management and control at the device, service and network levels. DataPath’s Advanced Tactical Modem platform has an ultra-efficient Modem Control Channel (MCC), enabling MaxView’s powerful remote monitoring, control and management capabilities of the entire deployed network. Not only does this provide situational awareness and greater network control, but also the ability to provide more sophisticated remote engineering and trouble-shooting at remote sites, where there may not be skilled technicians deployed. This delivers greater flexibility for communication planners, and for commanders to push sophisticated technologies further towards the forward edge of the operational area. DataPath’s solution, powered by Datum technologies, provides one of the most sophisticated, efficient and cost-effective network capabilities to the modern area of operations. The combination of features and flexibility allows capability managers and network planners to have a closer look at the current norms in their deployed C4ISR systems, and explore a range of new and flexible deployment topologies, which promise to bring unprecedented capital and operational expenditure savings to tight government budgets.